Can't visit the showroom? Then we will bring it to you. 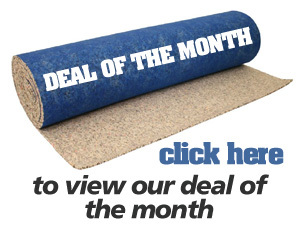 Find out why We Sell Carpets are the number one carpet store in Hertfordshire. Read what some of our customers have to say. Your fitter Gary was very efficient, arrived on time and did a lovely job. Thank you for another room well carpeted! I would like to thank you and We Sell Carpets for excellent and friendly service. It is really good to be able to get hassle free service and I am so grateful. 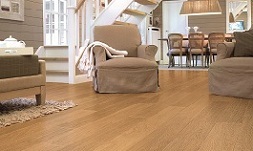 To all the staff at We Sell Carpets for the great service received choosing my new flooring. The fitters did a lovely job and we are delighted with how everything looks. I must especially thank Hayley for all the special kindness and help with everything. 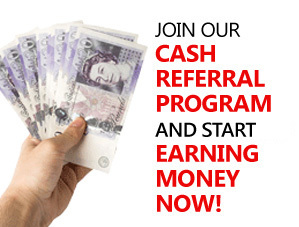 I will be recommending your company highly. Just wanted to say how pleased we were with Gary and Colin, the carpet fitters, and of course Dean and his team for the hall floor. Gary and Colin were a pleasure to have around and although we haven′t moved in yet, we are sure we will find everything ok.
Just a quick note to say that our new Quickstep laminate was fitted today throughout out our ground floor and it looks stunning. Your fitters were excellent and we′re really pleased with the result, thank you very much. We will be back in shortly to sort out our stairs carpet. Thank you for investing so much time and effort into this show. We could not have done it without you. Just to say thanks to you and your fitters for being so efficient. This is also to heap praise on Dave the carpet fitter who I would say had a virtually impossible job. Due to the huge task ahead, he had to try and find another helper. I came home not expecting it to be done but it was all completed, all carpets fitted and all furniture put back exactly where it was. Dave is an absolute diamond and please convey my appreciation for a heroic job. I still don′t know how he did it. This is rare for me to actually write some praise! Many thanks again for a fabulous service and to the girls. I had a carpet fitted to the above address yesterday by your fitter (not sure of name-Gary?!) He is a totally professional and caring person who obviously puts the customer first. I am sure some Jack the Lad′ could have knocked it out in a couple of hours but he spent the time to make sure the job was well done. Totally recommendable! PS Hayley & crew – you′re great too! We would like to take this opportunity to thank you for your helpful and professional service on this job, from John Quigley who served initially at your showroom and came out for hours for a home visit with samples etc. Through to your fitter Dave who arrived promptly and on the correct day, and who displayed courtesy, respect and good workmanship throughout. 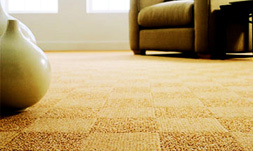 We are to date very pleased with the carpet and would not hesitate to recommend your company to others. I would like to place on record my absolute delight at using the services of We Sell Carpets. From the initial consultation at the showroom with Hayley and Martha to the carpet fitting expertise of Andy and David it has been a real pleasure dealing with you all. 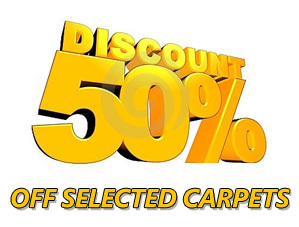 I certainly will be recommending your company to anybody I know that is looking to having new carpets fitted. I am very pleased to send you this unsolicited testimonial regarding the carpet that was supplied and fitted by your company in my house. I cannot isolate one area of the work or service, with which I was not highly satisfied with. From the very outset the attitude of Sean Baker was professional courteous and friendly. Nothing was too much trouble for him and the resulting work at my house reflected his enthusiasm. The quality of the work was of the highest as was the ability of the carpet fitter Gary Robinson. I do not hesitate in recommending your company, as I will do to all my friends and business associates. You have my permission to use this testimonial (if you wish) for advertising purposes. I am extremely grateful to you for the speed and professionalism at which the carpet was supplied and fitted. I have pleasure in enclosing a cheque in settlement of your account. Please find enclosed cheque for £1940.00 which is the balance of my account. The carpets that you supplied and fitted look great and your carpet fitter did a first rate job. Gary your carpet fitter came yesterday and finished off the carpet fitting. It all looks great. I will definitely recommend you to other friends when they are looking to have new carpet. Enclosed cheque for £1199.00 for balance of carpets fitted. I am very pleased with the way the carpets look along with the carpet fitting. It is a lovely job. Here enclosed is a cheque for £2605.00 which is payment in full for the laying of the carpets as ordered. I would like to say that my wife and I are well pleased with the entire job and with so many cowboys about these days, it was a real pleasure to see your carpet fitter -a true craftsman at work. Not only that but he is a most thoughtful fellow and much appreciated by my wife and myself. Rest assured that whenever we hear of someone considering new carpets we shall recommend your company for it's reliability, friendliness and the craftsmen it employs. Please find enclosed cheque for payment of the carpet and vinyl floorcovering. The carpet fitter was excellent and fitted the carpet and vinyl with speed and effiency. It was a real pleasure doing business with you.. Please find enclosed cheque for £2300.00 the balance being for the carpet installation. We are very pleased with them and thank your carpet fitters Colin and Gary for being so helpful. Your carpet fitter did a brilliant job and I will be recommending you to all my friends and colleagues. I love We Sell Carpets. First and foremost, many thanks indeed for a wonderful job. Please let your carpet fitters know that I am thrilled! If I hear of any new prospects for you, I will certainly pass your details on and tell them where to purchase their new carpets. Carpets look great! Thanks for arranging the job so quickly it really is appreciated. Very pleased with the results. Thank the carpet fitter Gary again for us. Thanks for a great carpet job. Very pleased with the carpet installation. It looks super. Thank you very much for your excellent carpet fitting service. 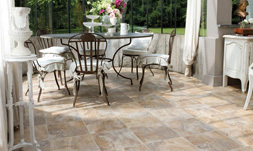 The results were professional and I would have no hesitation in recommending your company. Please find enclosed cheque for £2675.00 as balance due for carpet fitted today. I am pleased to tell you that we are delighted, both with the carpet and the high level of service offered by your company. 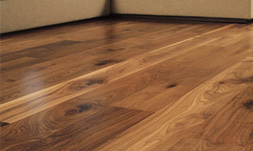 Firstly in meeting our requirements to gain carpet estimates at a time to suit us ie out of normal hours and secondly in the professionalism of your two carpet fitters. It was great to leave them in the house whilst I went to work. It is so reassuring to deal with a trustworthy company. Should we require any further work you will be our first port of call. I am writing to put on record our appreciation of the very helpful and friendly service we have received from your company. The new stair carpet has been expertly laid. Please thank your carpet fitter. We shall certainly recommend We Sell Carpets to our friends if the opportunity arises. Thank you very much for supplying our new carpets. We are very pleased with the shade and the fitting. Everything compliments our decor and furnishings. Well done! Thank you for supplying and fitting our new carpet as per your carpet quotation. We are very happy with the result and will recommend you to our family and friends. My thanks and appreciation go to We Sell Carpets for the service that you carried out recently. Your sales representative John had endless patience with the measuring estimating and planning plus you had an inexhaustible supply of carpet samples to choose from. The carpet fitter was second to none and he was a true master of his craft. The new carpet feels luxurious and I am delighted with the result. The carpet has been fitted expertly. I am very satisfied. Thank you for sending off my guardsman carpet protection warranty. Just to say the carpet installation looks fantastic and the two fitters were an absolute joy to have around the place. I am absolutely delighted with the service you have provided. I know where to come for my next carpet purchase. Forgot to say that not only were the carpets looking great but the carpet fitter you sent was fantastic. He did a beautiful job, worked like crazy and all on his own. All of your staff are a credit to your company. Thank you for your prompt and pleasant service. The carpet looks great and has been fitted superbly. If I know anyone who needs a carpet I will send them your way. What can I say. I am very pleased with the carpet you helped me choose in the showroom. With all the carpet samples you had in your carpet shop I was really spoilt for choice. The luxury feel and texture of the carpet is beautiful and your recommendation to go for the cloud nine underlay was the correct one. This carpet underlay really makes you think that you are walking on air. Also the carpet fitter has laid the carpet beautifully. Please find enclosed cheque for £3265.00 being the balance for our carpets that were installed yesterday. Whilst writing I would like to take the opportunity of thanking you for your excellent carpet fitting service. I must also say how extremely professional your two carpet fitters were and they conducted themselves in an exemplary manner whilst working in our house. They are a true credit to your company. The carpets look wonderful and what we thought was going to be a tremendous upheaval became an enjoyable experience. Congratulations to you all. I will certainly be singing your praises from the rooftops.